A detailed cell-by-cell map of all dividing cells in the adult murine heart before and after myocardial infarction was created using advanced molecular and genetic technologies in a combined research effort led by Hans Clevers from the Hubrecht Institute (Netherlands). The authors conclude that the adult heart does not contain heart stem cells. Cells identified as heart stem cells in previous studies turn out to produce blood vessels or immune cells, but never heart muscle. During a myocardial infarction, commonly known as a heart attack, the blood supply to part of the heart muscle is cut off. As a consequence, part of the heart muscle dies. Because the heart is a pump that maintains the blood circulation through our vessels, this is obviously a life-threatening situation. Most tissues of animals and humans contain stem cells that come to the rescue upon tissue damage: they rapidly produce large numbers of 'daughter cells' in order to replace lost tissue cells. 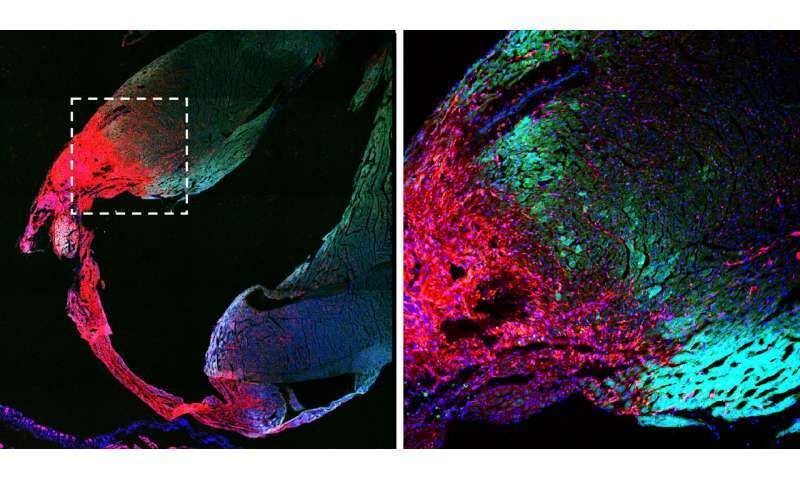 For two decades, researchers and clinicians have searched for cardiac stem cells that should reside in the heart muscle and that could repair it after a myocardial infarction. Multiple research groups have claimed the definitive identification of cardiac stem cells, yet none of these claims has held up. The existence of cardiac stem cells and their significance for adult hearts remains therefore heavily debated. To solve this debate, researchers from the Hubrecht Institute in Utrecht, the Amsterdam University Medical Center, the École Normale Supérieure (ENS) de Lyon and the Francis Crick Institute London, led by Hans Clevers, focused on the broadest and most direct definition of stem cell function in the mouse heart: the ability of a cell to replace lost tissue by cell division. In the heart, this means that any cell that can produce new heart muscle cells after a heart attack would be termed a cardiac stem cell. The authors generated a 'cell-by-cell' map of all dividing cardiac cells before and after a myocardial infarction using advanced molecular and genetic technologies. 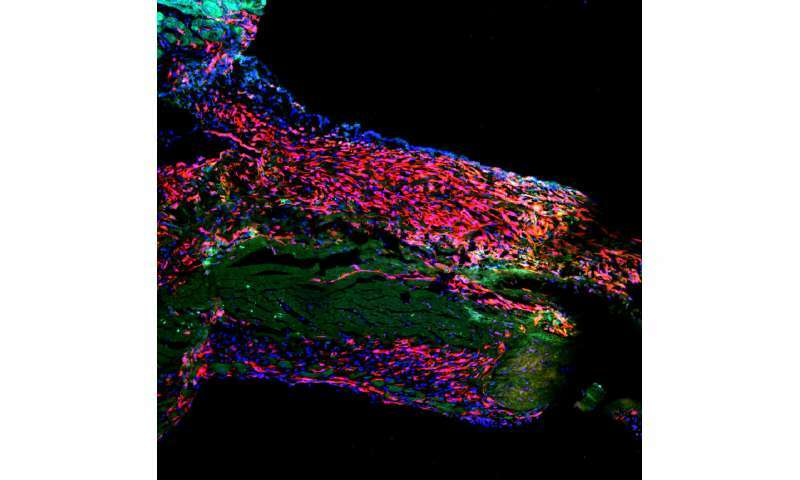 The study establishes that many types of cells divide upon damage of the heart, but that none of these are capable of generating new heart muscle. In fact, many of the false leads of past studies can now be explained: Cells that were previously named cardiac stem cells now turn out to produce blood vessels or immune cells, but never heart muscle. Thus, the sobering conclusion that heart stem cells do not exist. In other words, heart muscle that is lost due to a heart attack cannot be replaced. This finding, while disappointing, settles a longstanding controversy.